If you want to keep track of all your tasks for all of your projects then I recommend trying Asana which is a free online tool. Asana not only helps you organize your tasks but you can also collaborate with others and share projects seamlessly. Who needs Adobe Photoshop when there’s GIMP? This is one of the best free tools on the internet and I highly recommend it. 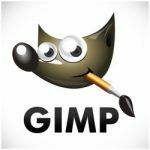 GIMP is free but it has almost all of the features you’d find in other, very expensive image editing software products. If you need to work with digital images then you should try using GIMP. Animate.css is a free animation library used for adding animation effects to websites. There are over 70 animations in the library and you can demo each one on the Animate.css website. Also, if you have a WordPress website, you can implement all of the Animate.css animations using the free plugin Animate It!.